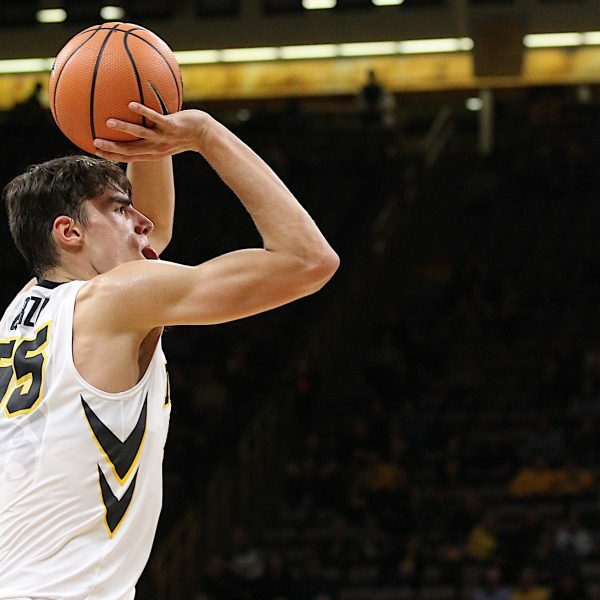 Tyler Cook and Luka Garza stood tall metaphorically and literally as the two Iowa posts combined for 42 of the Hawkeye’s 96 points in their 96-64 victory over Division II foe, Belmont Abbey. Cook showed off his high-flying exploits several times as he soared in for many dunks against the over-matched Crusader posts. Cook finished the game with 24 points on 7-for-12 shooting with seven rebounds and four assists. Garza was an absolute beast on the glass, hauling in 12 rebounds along with his 18 points, including a three pointer. Sophomore Cordell Pemsl also played a solid game, putting in 13 points, with nine of them off free throws. 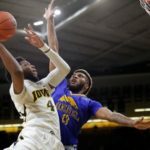 Another story for the Hawkeyes was the lack of scoring that came from the guards tonight as all of them combined for 1-for-11 performance from three point land. However, they made up for it by passing as Jordan Bohannon dished out a team-high five assists. Freshman guard Connor McCaffery followed closely with four assists. Forwards Nicholas Baer and Jack Nunge played solid game as Baer put in nine points, all off three-pointers, and Nunge added nine points as well. As for the Crusaders, sophomore guard DeQuan Abrom led all Belmont Abbey scorers with 15 points off of 6-for-15 shooting. Junior Ben Ferguson and senior Jacob Wilson added 12 points each, mainly scoring from beyond the arc. Senior center Aiden Richard contributed eight points, and senior forward Deion Lane added seven points. This game also marked a return for former Iowa Director of Basketball Operations, Billy Taylor, who now serves as head coach for Belmont Abbey. 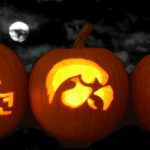 The Hawkeyes open up their regular season next Friday, Nov. 10 against Chicago State at Carver-Hawkeye Arena.